With all of life’s beauty, here’s a question: Why do some people hate their life and try to commit suicide to be released from a life they feel is a cage? Life is the biggest blessing given by God to every human. There are lots of opportunities to have a happy and lovely life, because life is really nice. Everyone wishes for a happy life. But I will tell you about a girl who is seventeen and who lives in Herat, and she does not see her life that way. She is in eleventh grade in school and second in her class. I have tried to quote her exactly. I am from those kind of people, the ones who hate life. I want to say that I really hate it. My only wish from God is to kill me. Sometimes I hate life so much that I decide to end it myself by suicide. Many times I have tried. It is my misfortune that I can’t succeed. Sometimes I remember God didn’t give us permission to commit suicide and that it’s a big sin. Sometimes I remember that I have lots of dreams for my life. My biggest wish is to improve and become a famous and kind doctor and help others. Solmaz says that although her family has many comforts, they discriminate between her and her brother so much that it hurts her heart. Men don’t allow women to live as they wish: they don’t allow them to speak, to breathe, or to walk. They don’t allow women to do anything and my nature is completely opposite to this kind of life. I see how every time a girl wants to go to school, the office, the bazaar, or other places it bothers the men and boys. My pains are so great I cannot say. For women in Afghanistan, dying is better than living. Living for women is a gradual death. Often I feel that maybe God has forgotten me. I have a lot of sins, so perhaps God hates me and leaves me alone. Sometimes I feel maybe no one in this world will see me cry or hear my shouts and then I remember, they hear my shouting and they see my crying and they just laugh at me. My father always says that a woman’s intellect is not complete, so we should not listen to her talk. These ideas hurt me and make me crazy. Why do men think they are the only wise humans? Solmaz says she has always been the first student in her class but her family does not encourage her or care about it, while her brother receives gifts for passing his exams. Now please, you tell me: How I can stand this dumb and hateful life? Sad story. I hear you very well because I am from Herat and also have seen men crushing women’s dignity like that. Thank you for writing . Tell Solmaz to be strong, and study well. The only person can help women in Afghanistan is women themselves. If they study and become economically independent they can find their place to talk. its so nice so powerful sines !!!!!!!!!! All I can say is — don’t give up! Be yourself, even if you have to hold your dreams and thoughts inside. 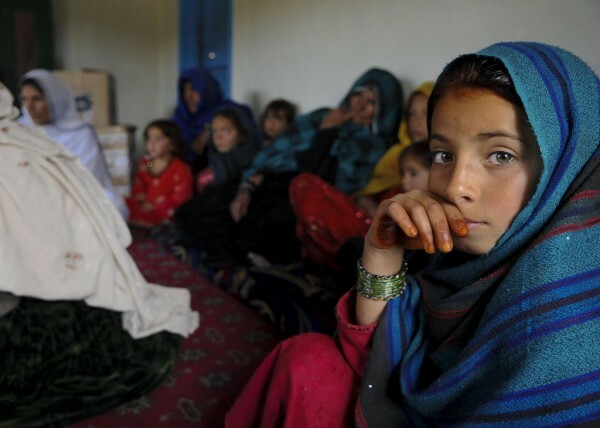 I think of you and all the other Afghan women and girls everyday, and I hope and pray that things get better.